Our culture is very quick to exaggerate for the sake of sensationalism and many in the wine industry press or bloggers have never missed a chance to prove it. Still, every so often we get it right! Use the word boutique in conjunction with a winery, and everyone from Mondavi down to your local corner Garagiste, will lay claim to being one. If you then throw in the terms family owned and European styled, believe it or not, you can still find many who are willing to lay claim to them as well. Thankfully, I was able to spend some quality time at a perfect example of exactly what we are talking about, the Flam Winery, in the rustic Judean Hills. In a previous post concerning Ella Valley Winery, I have already discussed what I believe to be the definition of a boutique winery. In a sentence or more, it means a crazy (in a good way) level of oversight from the mundane to the essential. Of course, my take leaves a large enough space to drive a semi-trailer through, as exemplified in these retorts to my post. 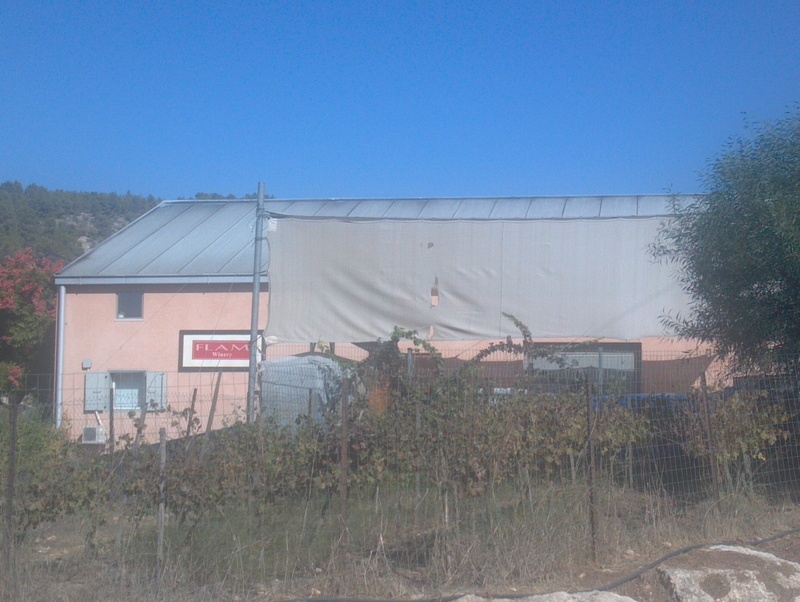 With that said, to me Flam Winery exemplifies many of the aspects of what I look for when talking about a boutique winery. 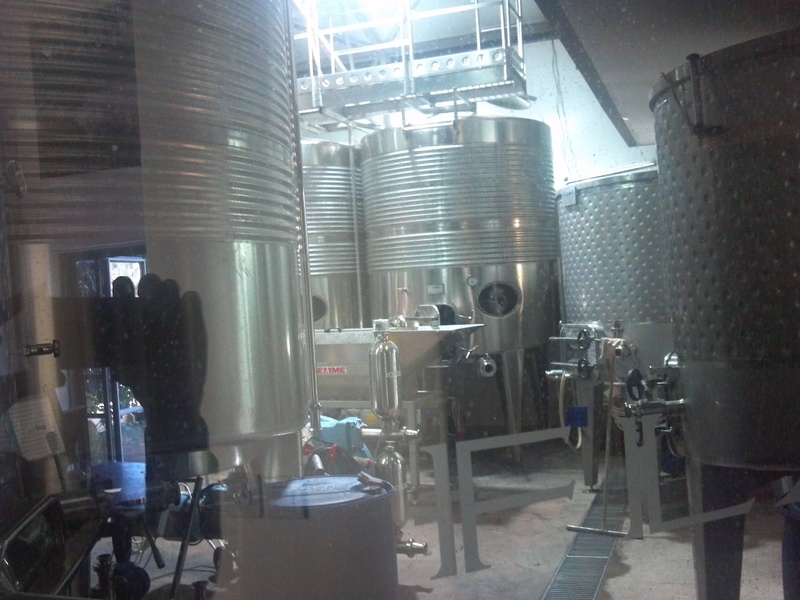 Yes, they are smallish, at some 120 thousand bottles a year, along with very tight oversight of their vineyards. 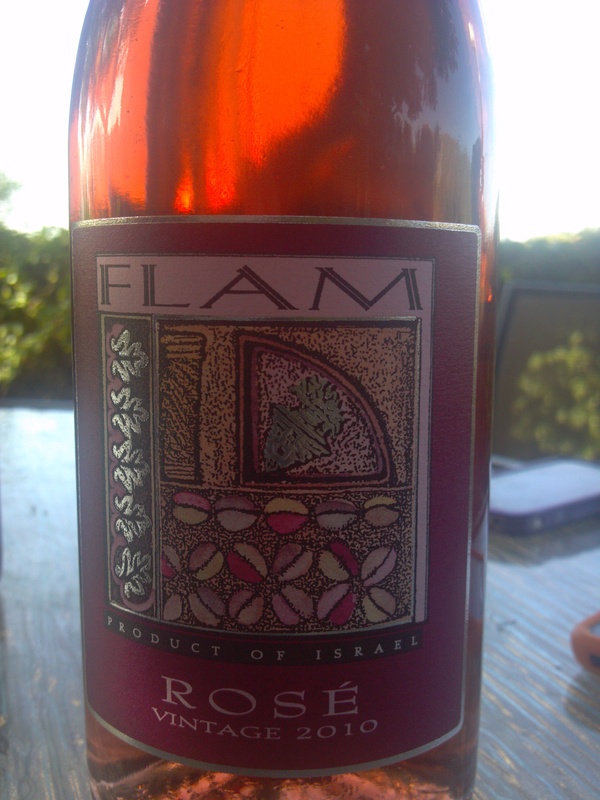 Flam leases five vineyards throughout the country, three in the Judean hills area and two in the upper Galilee. The vineyards are leased so that Golan Flam, the head winemaker, can work hand in hand with the vineyard manager, and know that they will both get what they want. The vineyard knows it will be paid on a consistent manner, per acre. 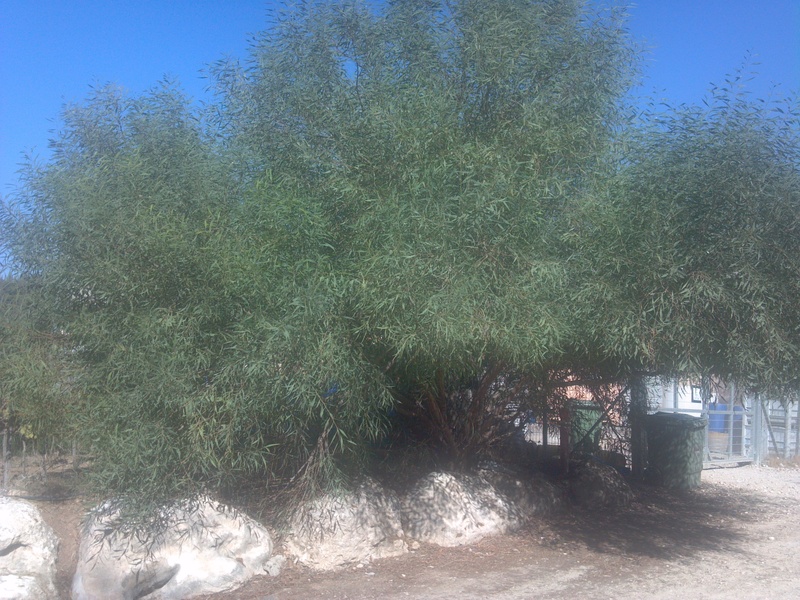 While, Golan knows that the vineyard will be managed with quality as the benchmark and not quantity. Also, Golan has the opportunity to work hand on with the vineyard manager to maximize the potential of the grapes, in the direction that he thinks is most beneficial to the vineyard and the winery. There are a few famous family owned wineries, including Castel Winery in the Judean Hills, and Tulip Winery in the Galilee. Flam Winery, of course is also on the short list of quality family run wineries. 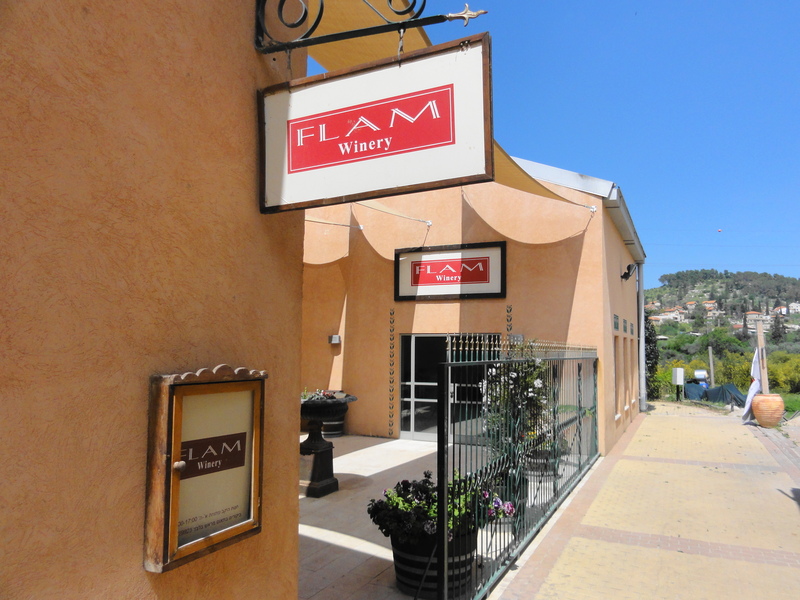 Flam Winery, which was started in 1998, is a personification of Golan’s dream to create an Israeli wine estate, focused on premium quality wines. The dream was hatched after graduating from Hebrew University with a bachelor’s degree in agriculture, on a trip through Tuscany, Italy in 1996. While on a fascinating tour amongst the splendid wineries of this enchanting region, Gilad & Golan decided to build a boutique winery in the Land of Israel, which should be surrounded by superb vineyards, and would be the source of the best possible Israeli wines. Golan returned to Italy to get his Master’s degree in Enology, and worked at Carpineto Winery in Tuscany, and in Australia as well. In 1998 Golan returned to Israel to be the wine maker of Flam, and joined forces with his brother Gilad, a successful lawyer and businessman, who runs marketing and Business Development. They recruited their mother, Kami, a successful businesswoman to be the winery’s CFO, and they leaned heavily in the beginning on their father, who was then the head wine maker for Carmel Winery. In 1998, and for sure now a days, starting a winery is no small feat. To hedge their bets, they started another business, Hagefen, a liqueur importing and distribution business, importing Italian and European wines. Personally, if I was starting a new venture, the last thing I would do is start a second business to hedge the first business, both would fail for sure! 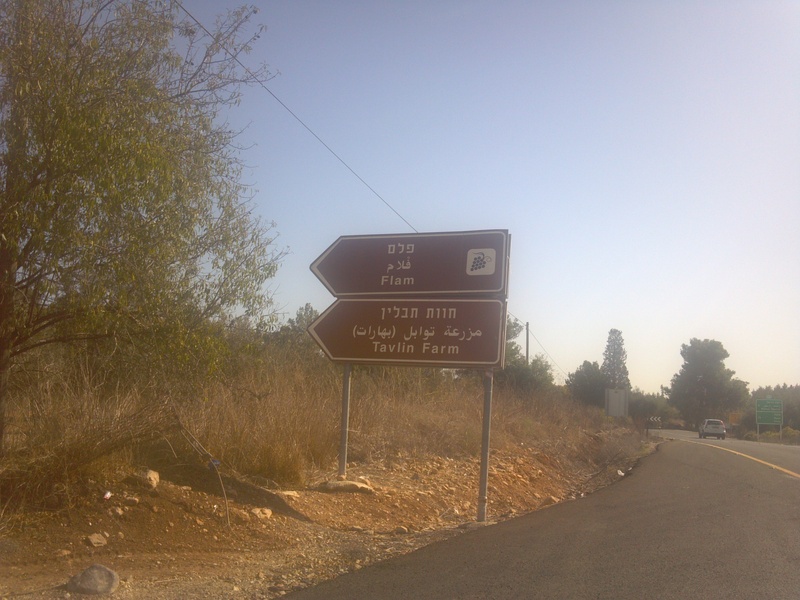 Israel Flam was truly worried about the dual venture, “In 1998 there were only four to five boutique wineries in the whole country. He was afraid we were going to lose all our money,” Gilad says. In hindsight it was pure genius! Israel was turning a corner and creating a strong and vibrant middle class with more bourgeoisie tendencies. Hagefen turned into the cash cow creating the cash flow to bankroll the cash flow black hole that is a winery. Where do you get the capital to buy the new crop of grapes, the barrels to age the new crop in, or the funds to pay for the staff, while your Messiah is aging in the cellar? If you do not either have deep pockets or a hotline to your local area bank, the next best idea is to have a hotline to your brother who is running a distribution business, that if run correctly can actually be quite cash positive, and in the sure hands of Gilad that is exactly what they have. As you know we only drink kosher wines, but I wonder at times if that limits our vision of the Israeli Wine Industry, to our own detriment. Of course, we have no interest in non-kosher wine, but spending 30 minutes with Israel Flam taught me one very important lesson, kosher is a moniker for food not knowledge! 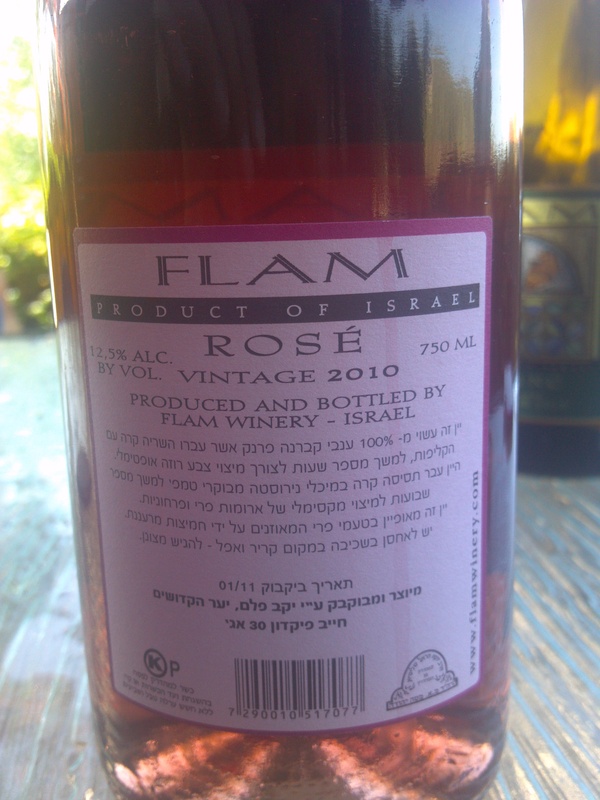 In 2010, the Flam Winery decided that it would turn kosher, and it created quite a stir, as it was not the only winery to do so at that moment! Actually, three wineries decided to go kosher in 2010, Tulip Winery, Saslove, and Flam Winery. When we called Liatte, an ex-Oakland native, to setup a visit to this wonderful winery, we did so because the winery had just made available two of their 2010 lineup, and it was close to where I was staying for Shabbat. 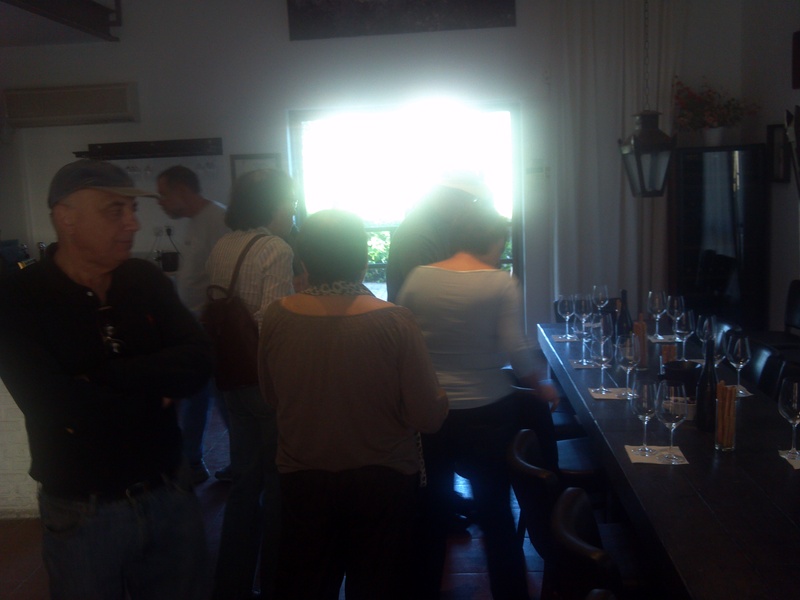 We arrived on a lovely Friday afternoon, earlier than we had agreed, and Israel was leading a large group tasting of the Flam wines. Liatte was very kind and she agreed to meet with me an hour earlier than expected, which was awesome, because it gave me time to talk with Israel at the end of the visit, but I am getting ahead of myself here. The drive up to the winery is truly lovely, and the seating outside, where Liatte set up, is equally lovely, surrounded by lush green foliage. 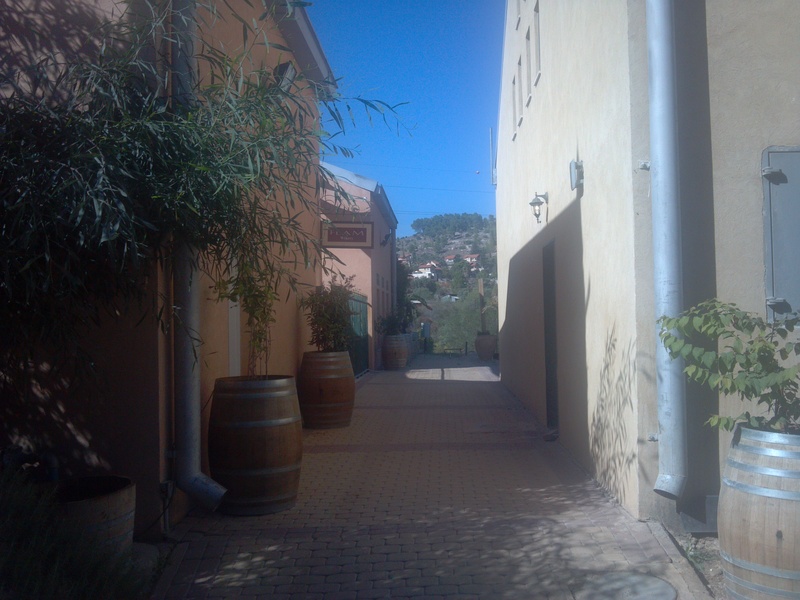 The winery is a stone throw away from Catsel Winery and Tzuba Winery, just a short ride off the winding roads of the Judean Hills. 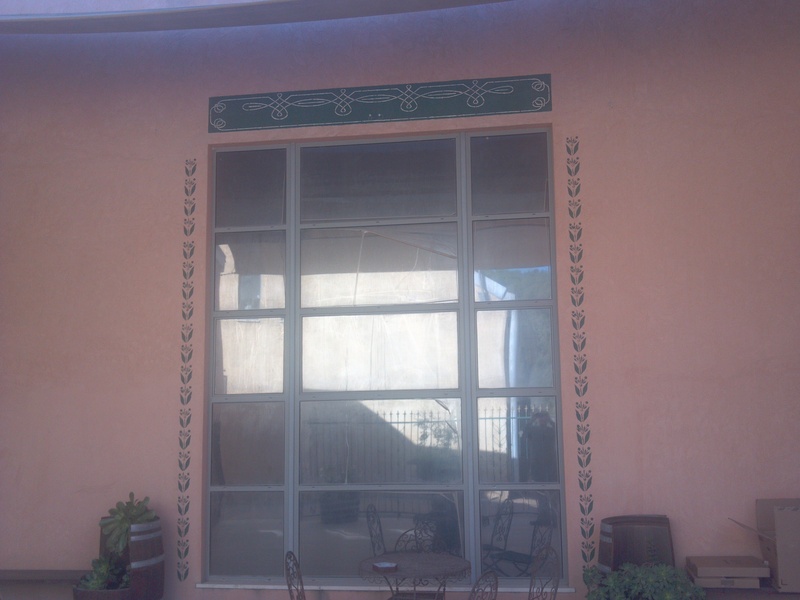 The winery is very reminiscent of a Tuscan building, with its warm cream and yellow tones, wrought-iron decorative grilles, and the surrounding olive trees. Still, if the all the winery claim to fame was only skin deep, they would never have garnered such worldwide acclaim, from the likes of Daniel Rogov and Robert Parker. The passion that the Flam family shows to its craft, starts in the hours that Golan spends in the vineyards and carries its way all the through to the art inspired labels, that are handcrafted by an artisan in Italy. Golan and the family have found a way to bring together the best of both worlds. The old world or European style wine, fused together with a clear nod to the grapes and climate of Israel. The wines may show European but they are still the embodiment of an Israeli nurtured environment. As I am sitting sipping some nicely chilled 2010 Flam Blanc, some guests join the informal seating outside, and it was then that I made an obvious observation, in regards to Israeli wines. We all know the line about how horrible kosher wine used to be, we hear it from the press Ad nauseam. Still, while sitting back at the Flam Winery, I realized that Israelis really do love their wine, and the reason they love it is wine’s romantic and transportational characteristics. As we sat there, I had a chance to chat up the other guests, and invariably the conversation returns to which varietal or wine they love so much. How they met their date or significant other at a wine tasting, or how they had just tasted this exact wine at their friend’s wedding reception. We have spoken about this particular power in the past, but it is still special when you see it come to life in front of you. It is clear, the wine drinking is growing in Israel, what is also clear is that it is not just the upper crust that desires quality wines, but the proletariat do as well. The winery’s portfolio is a unique combination of Chutzpah and European styling. 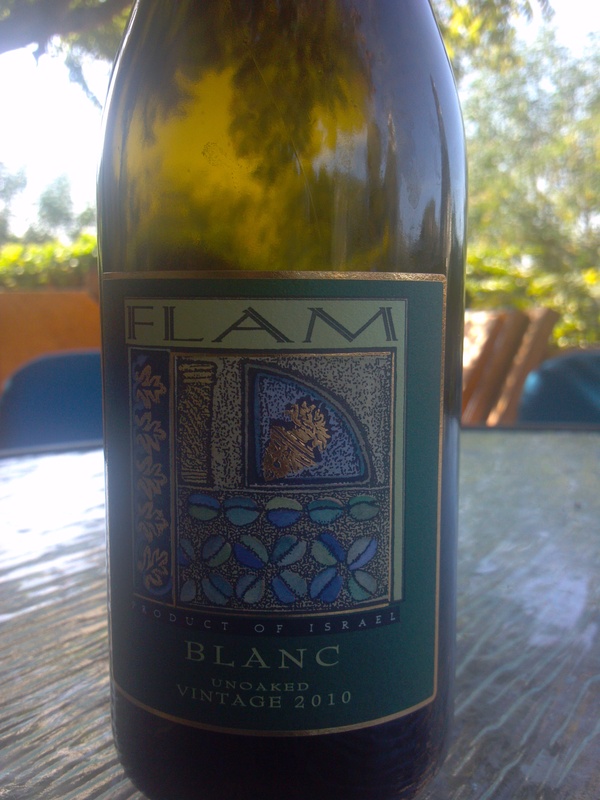 The Flam Blanc, is a blend of Sauvignon Blanc and Chardonnay, and never with oak. This is a fantastic continuation of what we realized on our previous trip to Israel, which is that winemakers are now embracing elegance and control when it comes to their white wines. However, that very thought is NOT a new thought to Flam Winery, but rather an ethos upon which they built the winery and one that shows lovingly in their wines. The next wine in the lineup is a Rose, made out of Cabernet Franc of all grapes! What a lovely crisp and refreshing wine that has enough complexity to keep your attention, while also keeping to their core belief of clean and mineral wines that show well in the Rose as well. The next wine in the portfolio, and the first red wine, is the Flam Classico, a classic Bordeaux blend of Cabernet and Merlot. 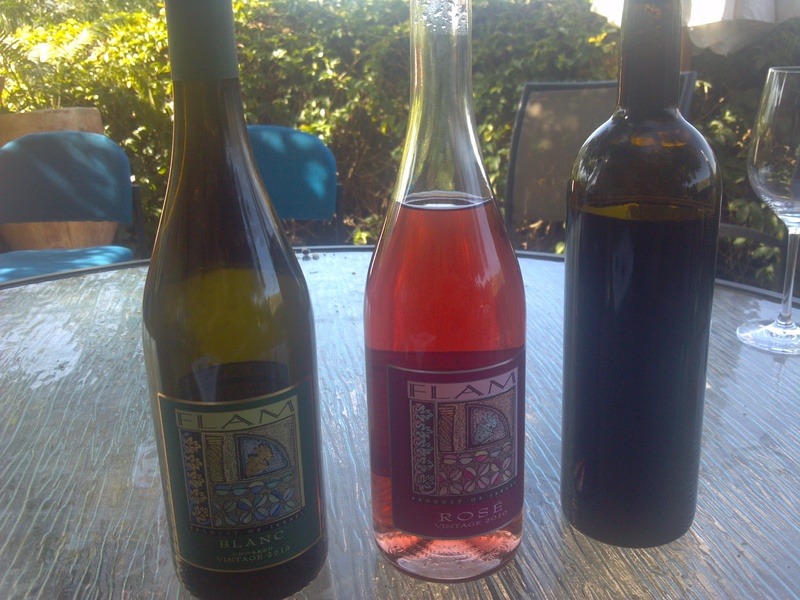 The next wines are the Flam Superiore Syrah, Flam Merlot Reserve, and Flam Cabernet Sauvignon Reserve. The final three wines live anywhere from 6+ months in old oak for the Syrah to 16 or 18 months in a mix of new and old oak for the two Reserve wines. As we were sipping the next wine, the 2010 Flam Rose, I could not help myself and blurt how much I truly love Cabernet Franc. Of course, I have never tasted a Rose made from Cabernet Franc, so it was a doubly cool experience for me. 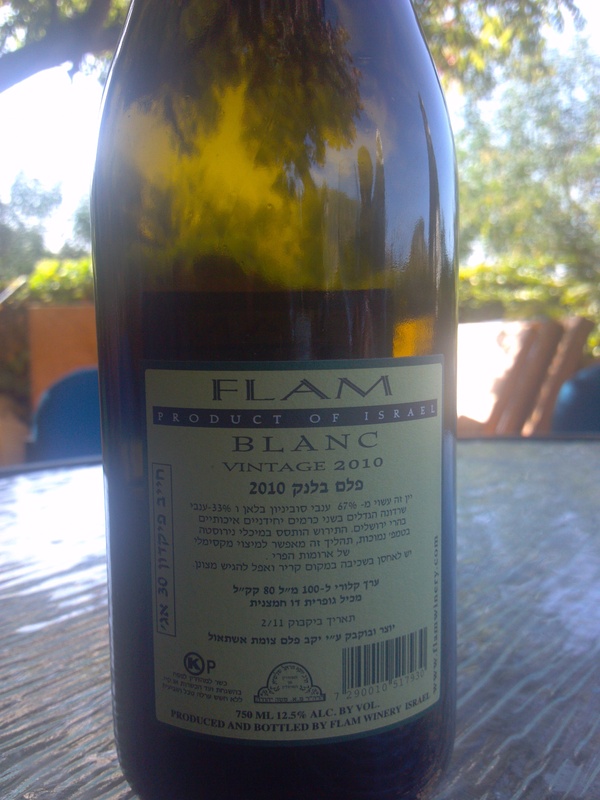 Finally, Liatte opened a bottle of the yet unlabeled or released Flam Classico, and it was another example of the fusion of European restraint and elegance combined with Israel’s hot and ripe flavors. The black fruit was not under ripe or green; rather the fruit was perfect, not overcooked or overripe, while also not a sledgehammer of oak or ripeness. Instead, a healthy balance of ripe black fruit, clearly stating this is an Israeli born wine, while also showing clean and elegant lines. The white wine were also quite a joy for the same reasons; the Blanc had flint to slate flavors, with clean and bright lychee and grapefruit flavors. No question that the bright and ripe Israeli fruit has as well taken residence in the Blanc, however, the balance and restraint is clear with the lack of oak or malo. Ditto for the Rose, with its clean and bright lined coat draped on top of a ripe red and white body. While I was taking in the a fore mentioned surroundings and the lovely wines, I could not help but ask the obvious question at hand, of why kosher and why now? Liatte has probably heard this question a thousand times by now, and she showed extreme professional and human restraint in not reaching over the table and strangling the life out of me, as she answered; it was a business decision. When you’re not kosher, you’re not working in the free market, and are limited in your easy export opportunities. Of course, there is a fair amount of competition now in the Israeli kosher boutique winery business, even with Royal importing your wines. Still, I asked, is this a Flam family decision? It was then that she said, that Israel Flam, who is the winemaker’s father, and a world-class winemaker in his own right may be available to answer my question. It was then that I lucked into stealing 30 minutes from a legend in the Israeli wine industry, and a gentleman in his own right as well. Our discussion ranged in topics from Daniel Rogov’s unfortunate passing and his forum, to the subject of kosher wine, Royal, and worldwide competition. Time passed way too fast, in an almost blur like fashion. Unfortunately, it was Friday afternoon, and the Sabbath was fast approaching, so, I bid my adieu, picked up a bottle of Rose, and thanked them both profusely for the hospitality, wine, time, and lovely company. We tasted the three kosher wines that were available at the time. The Syrah will be released in mid to end of 2012, with the Merlot and Cab reserves being released in late 2013. The nose on this salmon colored rose is rich and floral with lovely violet notes, nice mineral, strawberry, mint, ripe raspberry, rich brightness, citrus fruit, and orange blossom. The mouth on this medium bodied wine is bright and rich with more floral and violet notes, ripe raspberry, strawberry, lemon fraiche, and lovely tart acidity. The mid palate is bright with nice acid, lemon, zesty raspberry, and orange blossom. The finish is super long and bright with more acid, mineral, strawberry, ripe raspberry, lemon fraiche, and strawberry sherbert. This is a perfect wine for a hot summer day or as a lovely aperitif. The nose on this dark garnet to purple colored wine starts off with a super rich mineral nose, rich and ripe black cherry, ripe blackberry, loamy dirt, restrained chocolate covered mints, restrained toasty oak, and vanilla. The mouth on this medium to full bodied wine is lovely with mouth coating tannin, rich toast, ripe black cherry, ripe blackberry, and nice black olives. The mid palate is nice and balanced with good acid, blackberry, chocolate, toasty oak, black olives, and more dirt. The finish is long with toasty oak, tannin, chocolate, vanilla, mineral, and blackberry. Black cherry, blackberry, toasty oak, and espresso coffee linger long on the palate. Posted on December 8, 2011, in Israel, Israeli Wine, Kosher Red Wine, Kosher Rose Wine, Kosher White Wine, Kosher Wine, Wine, Wine Tasting, Winery Visit and tagged Blanc, Bordeaux blend, Cabernet Franc, Classico, Flam Winery, Rose, Sauvignon Blanc, UnOaked Chardonnay. Bookmark the permalink. 28 Comments.